Listen in as we celebrate Brianna Hope Beaton’s 100th Review Award and review the films: The Little Prince: The Planet of Snake, The Founder, Miraculous: Tales of Lady Bug and Cat Noir: Be Miraculous, Long Way North, Surf’s Up 2: WaveMania and A Monster Calls. Hosts Brianna Hope Beaton and Keefer Blakeslee are joined by KIDS FIRST! 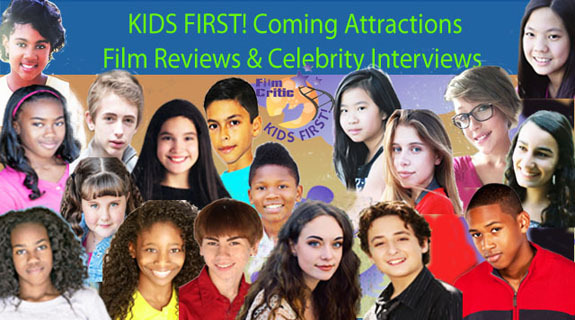 Film Critics Kamryn B., Calista B, Rohan F., Carla P, Gerry O., Dariana A and a special appearance by KIDS FIRST! alumnae, Raven Devanney. Before you spend your hard earned dollars at the movies, be sure to listen to what our youth reporters have to say. 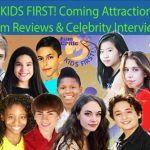 Listen in as we interview singer and actor Johnny Orlando who voices Travis from the new animated film Bunyan and Babe, and review Monster Trucks, ABC Monsters Starring QRSTU, The Little Prince: Planet of Snakes, Never Again is Now, and Lion. Hosts Gerry Orz and Morgan Bertsch are joined by KIDS FIRST! Film Critics Imani, Na’im, Willie, Marie, and Katlyn. Before you spend your hard earned dollars at the movies, be sure to listen to what our reporters have to say. Go here! You are currently browsing the KIDS FIRST! Radio weblog archives for January, 2017.